Kali released with huge expectations and with the burden to reach the ‘level’. Kali is Sameer Thahir’s second film with Dulquer Salmaan. Even though most of the posters gave a completely romantic feel about the movie, the title, and later, the trailer pointed at what the film is all about. Kali is all about a short-tempered husband, and his beautiful wife who is trying to control his temper, to be with him as they dreamed. His anger takes them to face drastic changes in their life. They, now, must face the issues, the pain, control his anger and reconcile with each other to be united. In one sentence, the story is rich. Kali combines not only good acting and directing, but also includes the viewers with the story. 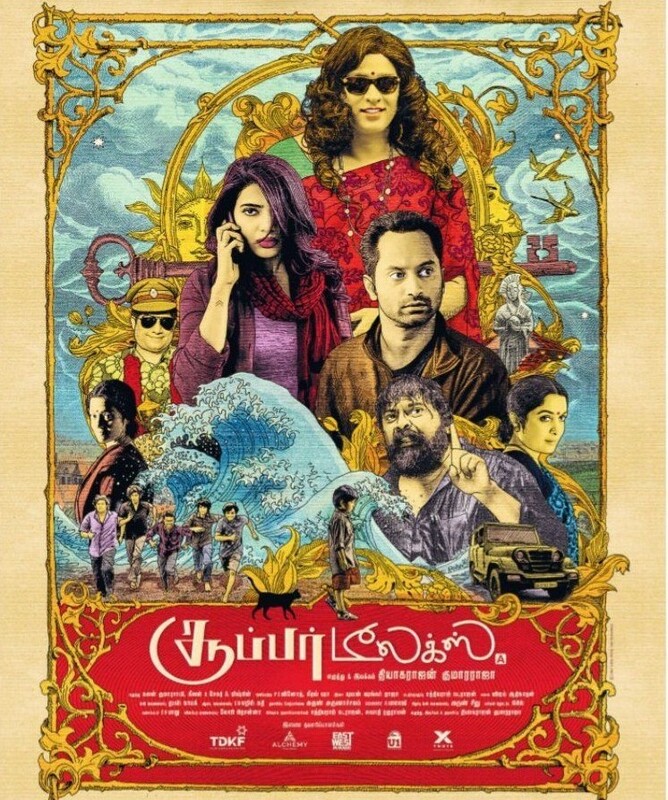 What is most impressive about the script is that, it doesn’t have the usual ‘hero’, the ‘Harischandran’ and the ‘Jesus Christ’, who is all good. It deals with a character with flaws, does few things that can’t be forgiven, but the viewers feel compassion for the character. The characters here have their own shades, good and bad, they look real and the situations they get into have reasonable reasons, not ‘simply’. This is an excellently written movie, with an impressive plot line. Sameer Thahir is a great cinematographer (Bangalore Days) and he, again, proves that he is a very good director too ( after Neelakasham Pachcha Kadal Chuvanna Bhoomi). He presented the story tightly constructed that can really speak to the viewer if he is listening. Let me just say that one rarely sees a movie with a perfect cast. Here it is. Dulquer Salmaan is perfect, as Mammootty in Thaniyavarthanam, as the short-tempered young man. He as usual adds a feather to his ever-growing-crown. He is menacing and lovable all at once. No matter whether the character is good, freak, cruel or stupid, like Mohanlal, Dulquer has that mysterious knack of making the audience fall in love with him. His market and fan base is sky-rocketing. No wonder if somebody calls him the successor of Mohanlal. Dulquer and Sai Pallavi combination scenes, going through different emotions, are awesome. Here, unlike usual, we see the lead women taking charge and carrying the movie on her back along with the male lead and antagonist. Sai Pallavi’s under stated yet powerful performance is spell-binding. She does the magic again, after Premam. She essays the role of this wife who tries her best to control her husband’s anger and is beautiful in the portrayal of the struggles and hardships faced. Chemban Vinod Jose, Vinayakan and Soubin Shahir, with stunning performance put in by all the cast, this movie is sure to make you watch it not once but over and over. Gopi Sunder’s background music is impressive and so are the songs. The music helps to bring out the true emotions and tensions of the film. Visuals are beautiful and special mention for the costumes as well. This movie is one which you cannot simply afford to miss! Look closer and you will find an absolute gem. See this movie, and more importantly, ‘think’ about this movie.